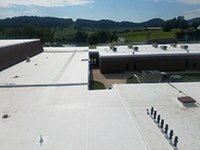 Problem Presented: Both buildings were new construction. 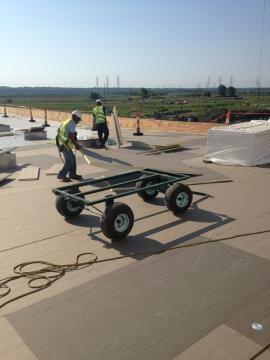 The flat guardhouse deck was installed incorrectly and was not going to allow the proper drainage. 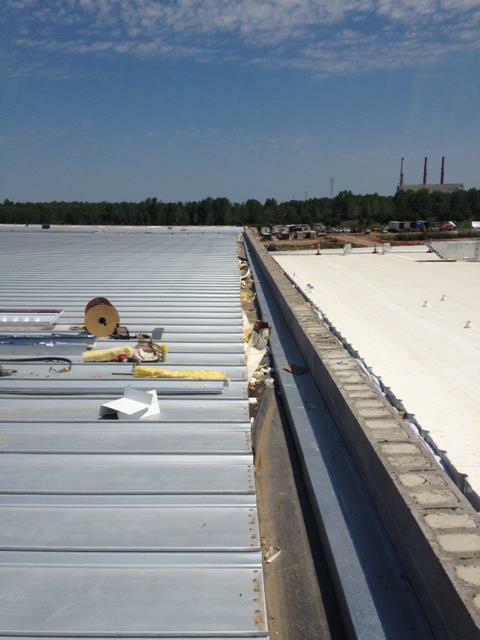 There was no detail provided for the area where the metal and TPO roofs met between the two buildings. 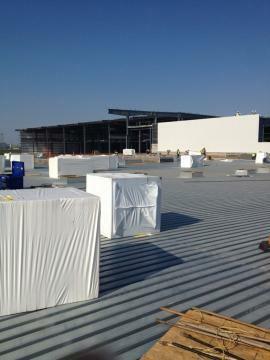 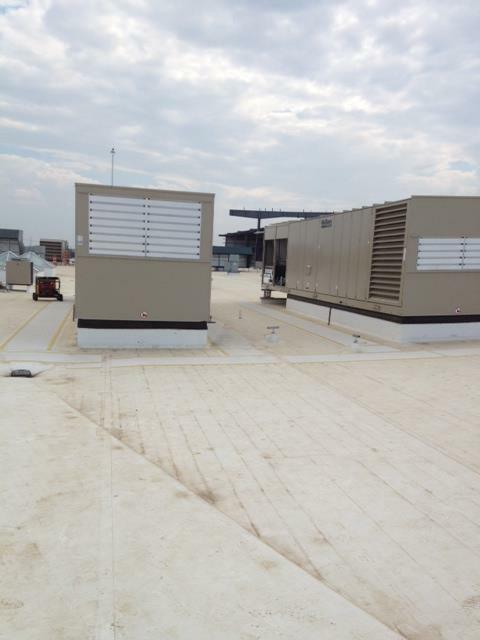 Over 200 penetrations and complex AC units provided an abundance of detail work. 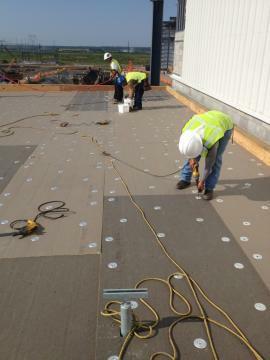 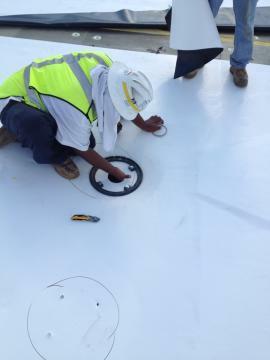 Solution: A fully tapered polyiso system was installed at the guardhouse in order for the water to drain properly. 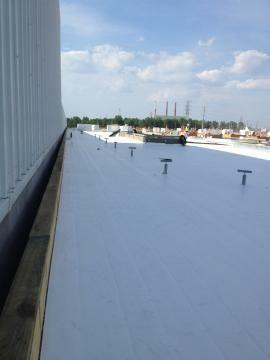 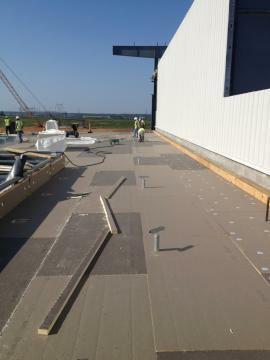 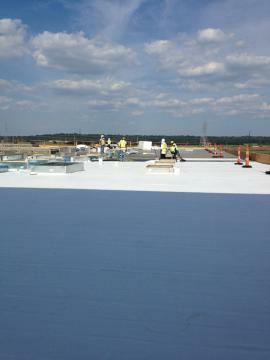 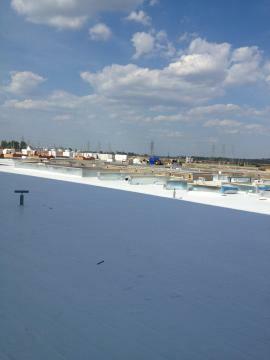 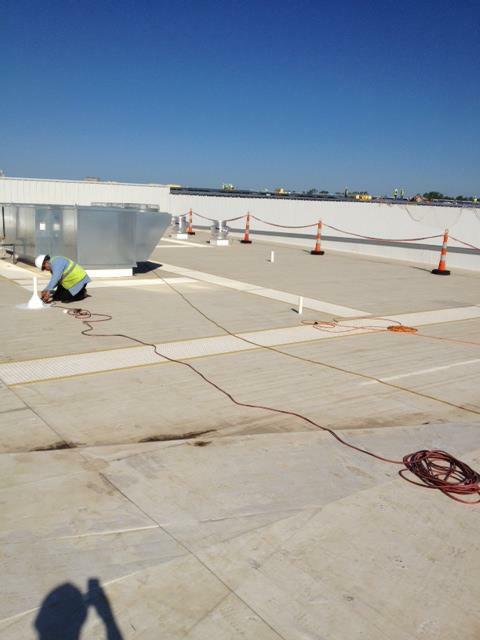 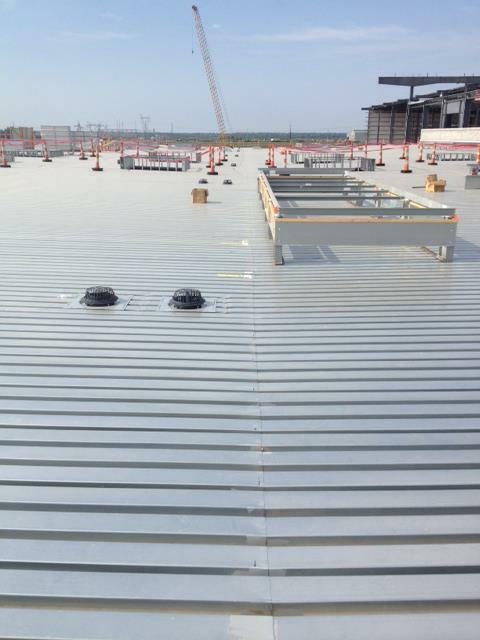 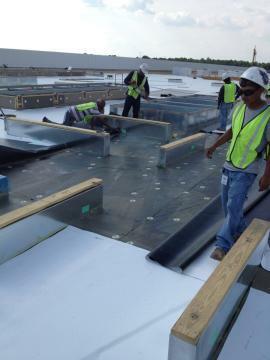 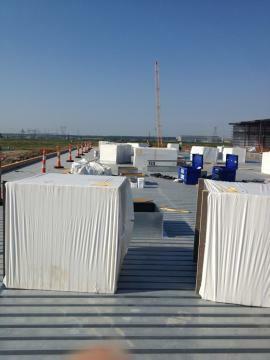 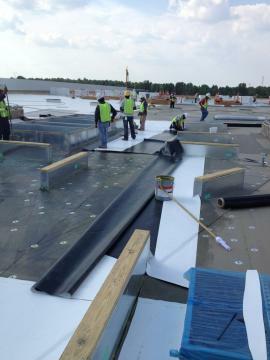 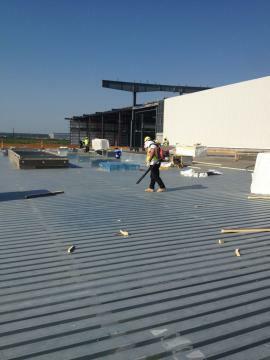 TPO membrane was head welded to wrap the internal gutter between the TPO and metal roof and the drains.